Get ready for a new season of Unbreakable Kimmy Schmidt on April 15, 2016. Season 2 brings us more of the lovable characters we fell in love with in Season 1. Kimmy who is continuing to discover New York after a 15-year imprisonment in an underground bunker while trying to get over her first crush Dong who is now married. Kimmy is not the only one dealing with love. Titus seems to have found a love interest in construction worker Mikey. This season there is a whole lot of self-realization for Kimmy as she continues to adjust to life outside the bunker in New York City. We also get to know more about Titus, Lillian, and Jacqueline as they are on their own roads of discovery this season. There is more music, love, and crazy antics that will leave you laughing and smiling from ear to ear. Kimmy's optimism is infectious through the show and keeps me watching every step of the way as she adjust to life outside the bunker. Season 2 kicks of with tying up some ends from season 1 and then by episode 2 we are in full swing of new story lines that continue to grow in season 2. 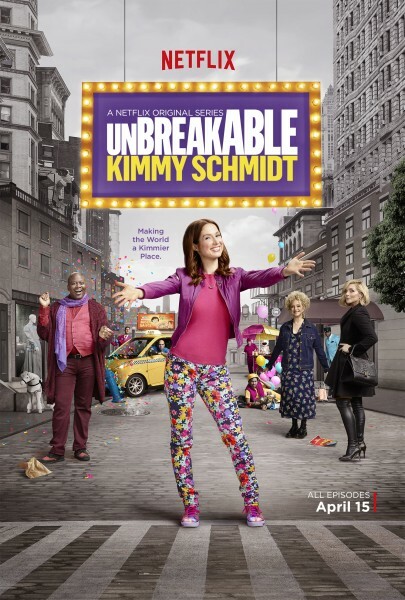 Unbreakable Kimmy Schmidt is definitely a binge-worthy show so pop the popcorn grab the wine and enjoy some hilarious comedy for a few nights. Giveaway Ends - May 1, 2016 at 9pm.